Emphysema is a type of chronic obstructive pulmonary disease (COPD). The condition is marked by damage to the air sacs in the lungs, which limits the flow of air when you breathe. Due to this restriction in airflow, emphysema patients typically aren't able to take in the oxygen their systems need to function properly. 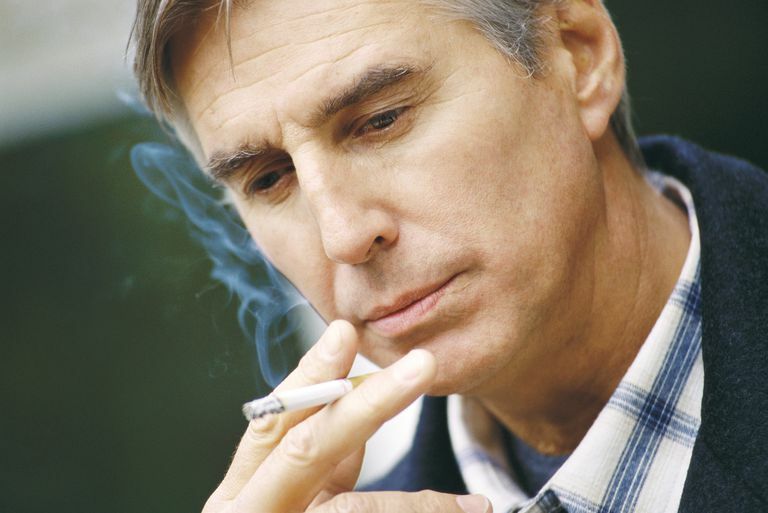 Cigarette smoking is the most common cause of emphysema. Chemicals found in cigarettes are thought to attack your air sacs (as well as the fibers that support them). Air pollution (both indoors and outdoors) and exposure to chemical fumes, irritants, and secondhand smoke may also increase your risk for emphysema. In a small number of cases, emphysema may result from the inherited deficiency of a protein that protects certain structures in the lungs. Although emphysema-induced lung damage can't be reversed, it's possible to slow or even stop the disease's progression through the use of certain treatments (including medications, inhalers, supplemental oxygen, and/or surgery). Quitting smoking is considered crucial to fighting emphysema, and for those who prefer to go the natural route, there are natural remedies that can help you quit. In one of the few studies to examine coenzyme Q10's effects on pulmonary function, researchers found that eight weeks of coenzyme Q10 supplementation had some benefit for chronic lung disease patients. Overall, however, there's a lack of evidence to support the use of coenzyme Q10 supplements among people with emphysema. In an animal study published in 2009, curcumin (an anti-inflammatory compound available in the curry spice turmeric) was found to attenuate the development of emphysema. However, there's no evidence that curcumin can halt the progression of emphysema in humans. If you're considering the use of any type of alternative medicine in the treatment of emphysema, make sure to consult your physician about the possible risk and benefits. You should also talk to your doctor about breathing exercises that may help improve your respiratory function. Due to the limited research, it's too soon to recommend natural remedies for emphysema treatment. It's also important to note that self-treating a chronic condition and avoiding or delaying standard care may have serious consequences. If you're considering using alternative medicine in the treatment of emphysema, make sure to consult your physician first. In addition to avoiding all exposure to cigarette smoke, you can protect against emphysema by wearing a mask whenever working with/near chemical fumes or dust. Fujimoto S, Kurihara N, Hirata K, Takeda T. "Effects of Coenzyme q10 Administration on Pulmonary Function and Exercise Performance in Patients With Chronic Lung Diseases." Clin Investig. 1993;71(8 Suppl):S162-6. Suzuki M, Betsuyaku T, Ito Y, Nagai K, Odajima N, Moriyama C, Nasuhara Y, Nishimura M. "Curcumin Attenuates Elastase- and Cigarette Smoke-Induced Pulmonary Emphysema in Mice." Am J Physiol Lung Cell Mol Physiol. 2009 296(4):L614-23. Worth H. "What Is Proven in the Treatment of COPD?" Internist (Berl). 2009 Nov 26.